Spain has lots of great beaches. 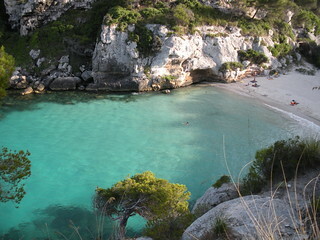 Below are a few, ranging from city beaches to off the beaten track on the Spanish islands and the mainland. 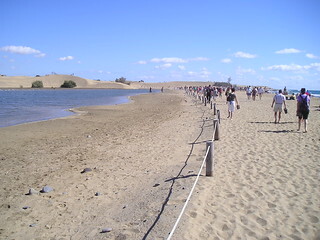 The enormous sand dunes, the lighthouse and the sea lake make Maspalomas beach in Gran Canaria pretty distinctive. Gran Canaria is my favourite Canary Island and is a great Winter sun destination. This beach has been labelled the best in the world. That’s a hard one to judge, but it does look very alluring. The islands are just off Ria de Vigo and it’s a pretty hefty 18 Euros for the return ferry trip. 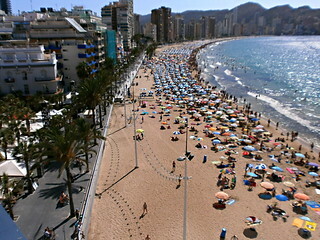 Part of Benidorm’s attraction over the decades has been the two kilometre long Playa de Levante beach. However, expect the beach to be packed in high season. 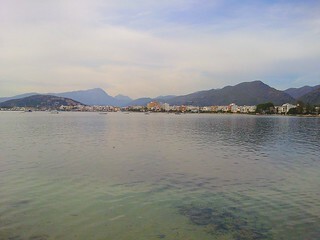 For a more peaceful holiday in Majorca, Puerto Pollensa is perfect. The bay here is very sheltered and picturesque. 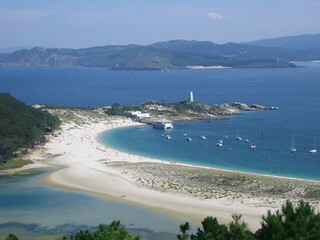 This small white sandy cove is only accessible on foot or by boat. It’s one of the island’s so called “virgin beaches” and an unofficial nudist beach. 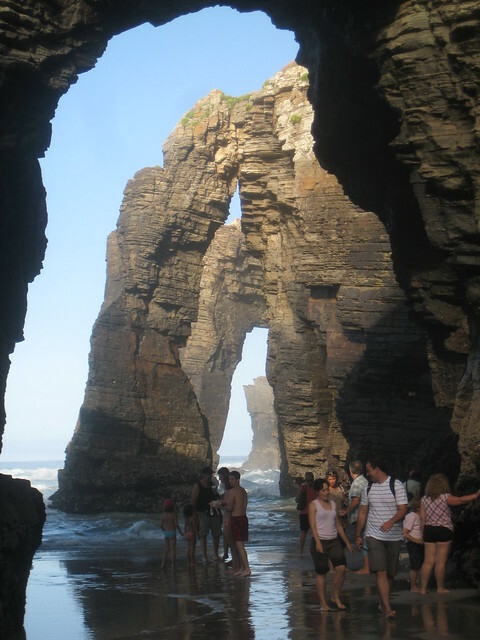 At low tide you can admire the thirty metre high arches beneath the cliffs. 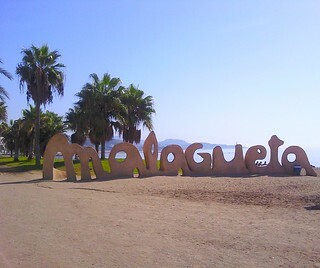 If you want to combine the culture, shopping and nightlife of a city with some time on the beach, Malaga is ideal. Not one in Costa Brava South. Your having a Giraffe . .
You try getting on a beach in Benidorm in the Summer. .